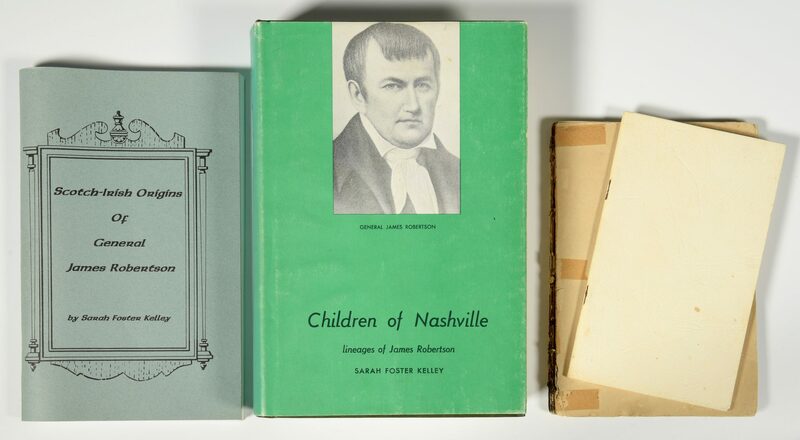 Lot of 4 books related to Nashville and the family of Nashville founding father General James Robertson. 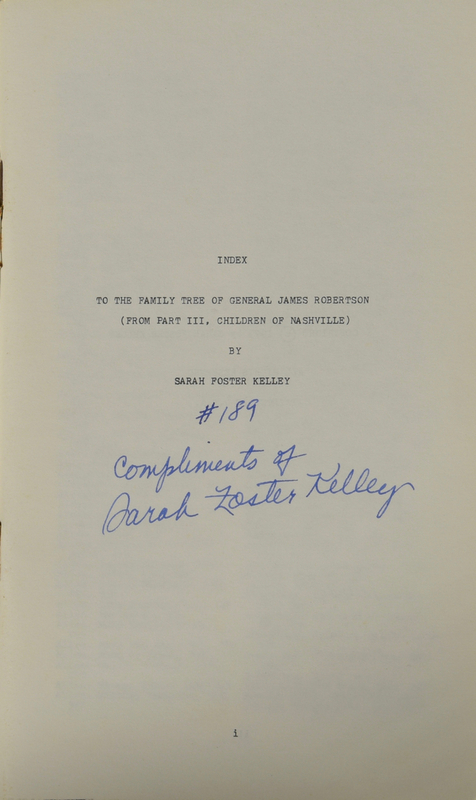 Includes 3 books by Sarah Foster Kelley: CHILDREN OF NASHVILLE: LINEAGES OF JAMES ROBERTSON, pub. 1973, hardcover with dust cover, signed and inscribed to Sarah Hunter Hicks Green; SCOTCH-IRISH ORIGINS OF GENERAL JAMES ROBERTSON, pub. 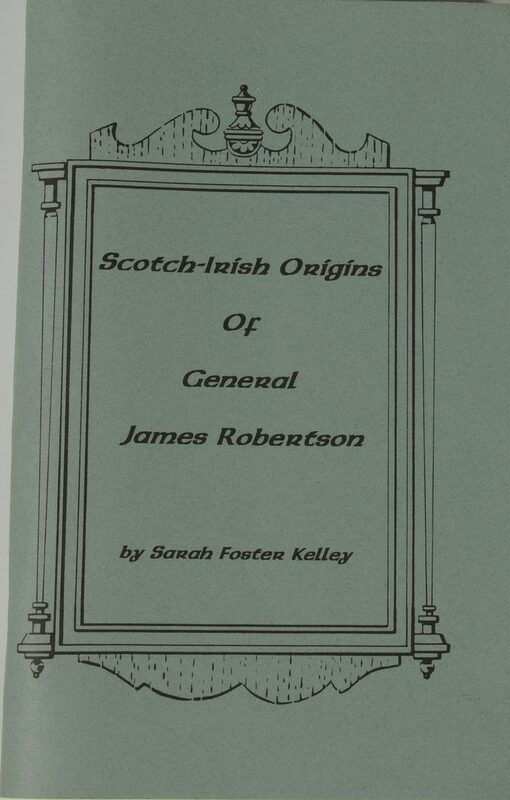 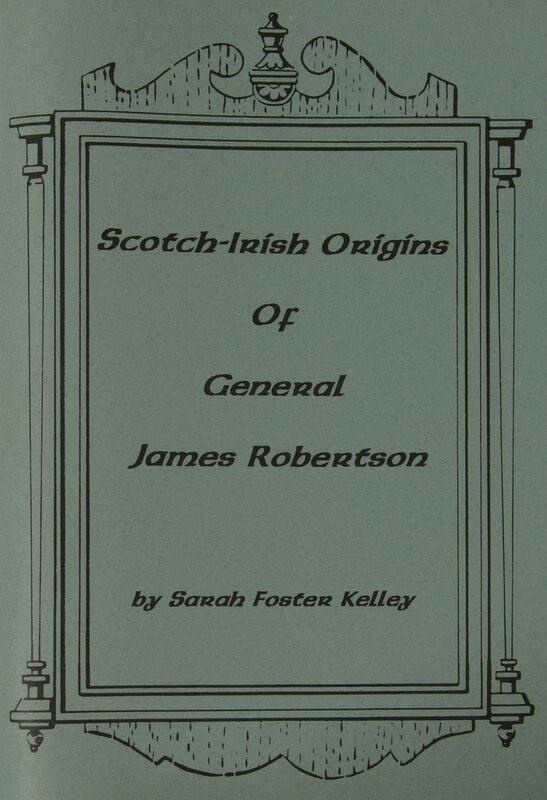 2000, softcover, autographed and numbered 159; and INDEX TO THE FAMILY OF JAMES ROBERTSON, pub. 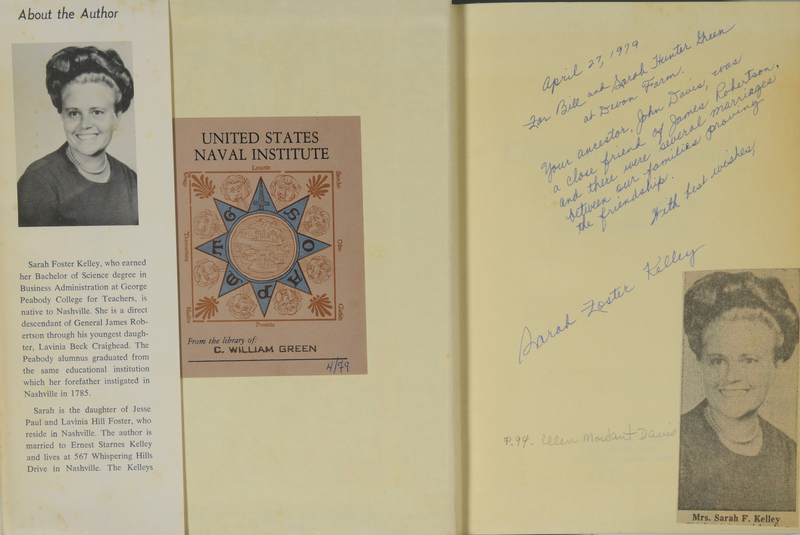 1973, softcover, autographed and numbered 189. 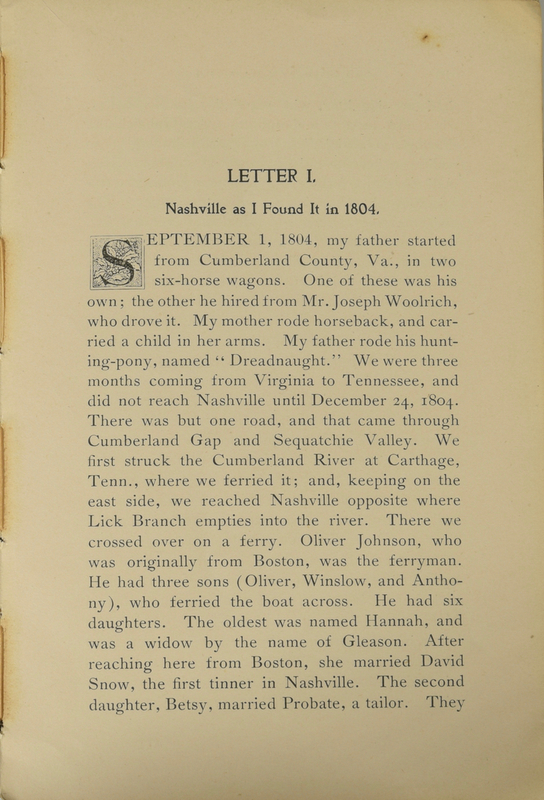 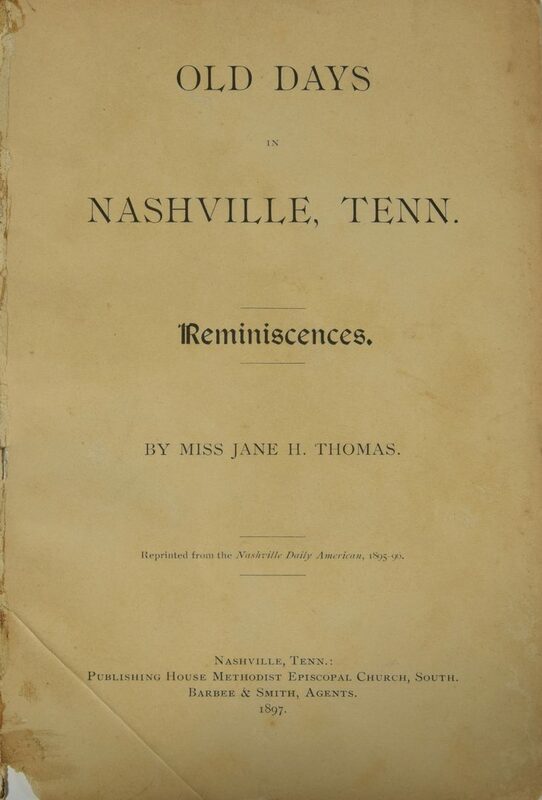 Together with the book OLD DAYS IN NASHVILLE TENNESSEE by Miss Jane Thomas, 1897, lacking covers and containing extensive pencil inscriptions. Provenance: the estate of Sarah Hunter Hicks Green, formerly of Historic Devon Farm, Nashville, Tennessee. 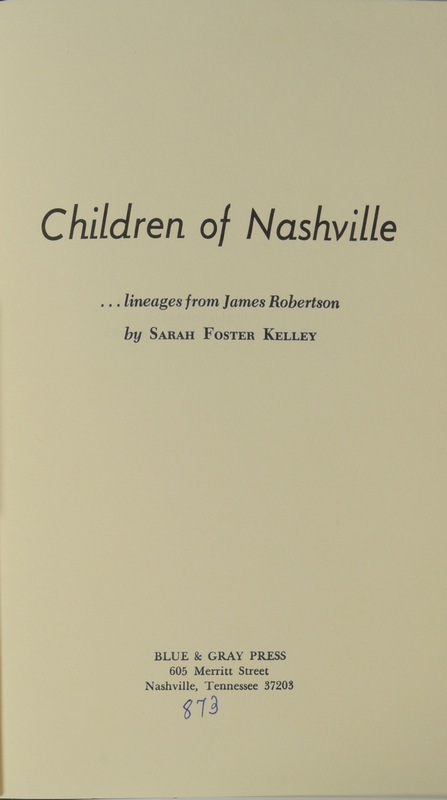 CONDITION: Books in very good condition except where noted in above description.